I had my iPhone out and my arms weighted down with bags. 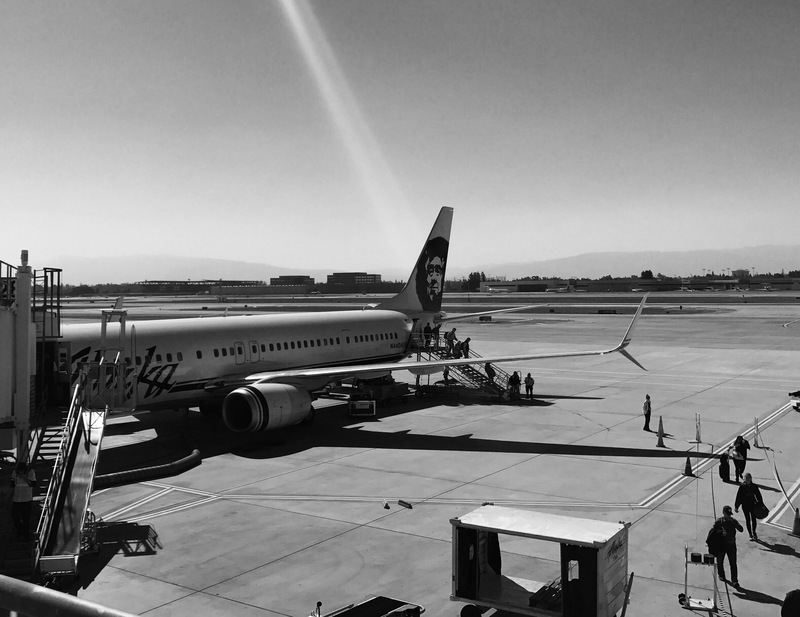 I don’t know why I turned to look at the plane I’d just disembarked — or why I snapped a picture. It was a split second decision. Something about the pressure someone might be feeling if they committed to posting a picture a day on their blog . . . but who, me? I quickly went on to figure out which gate I needed to get to for my next flight and didn’t look at the picture until today. Can you see it? The wisp of white flying off the tail of the plane? Like strings pulling the aircraft back up into the air. Right where it belongs . . . like a calling.